Whenever I get back from staying in a hotel, I’m always really dissatisfied with my own bedroom. I know hotel rooms aren’t reality but it doesn’t stop me wanting a bedroom makeover! Probably the easiest and cheapest way to revamp your bedroom is with new bed linen. So when Yorkshire Linens contacted me about their bedding, it was like the stars aligned (or they’d been inside my head!) I’ve been having a look around for some inspiration to jazz up my own bedroom, and picked out some favourites. I’d actually never heard of them prior to their email, but Yorkshire Linens duvet covers are great, with something for all tastes, and the prices are really good. Now on to Asda’s George at Home range, which I’ve bought from before and always been happy with. Traditional tattoo print – say no more! Finally to Matalan, again a first stop of mine for homewares. Leopard print, because, leopard print! More leopard print, because, leopard print! I like the colours in this and the way it’s styled with grey accents. My bedroom actually needs a complete overhaul; walls stripped, floors stripped, THE LOT, so I can’t invest at the mo, but it’s good to know what’s out there so I can start planning an overall look. And, of course, when I finally get round to it, there’ll be more interior inspo images and photos of the end result! Despite my protestations and wishing it wasn’t happening, there’s no point hiding away and denying that it’s now autumn. 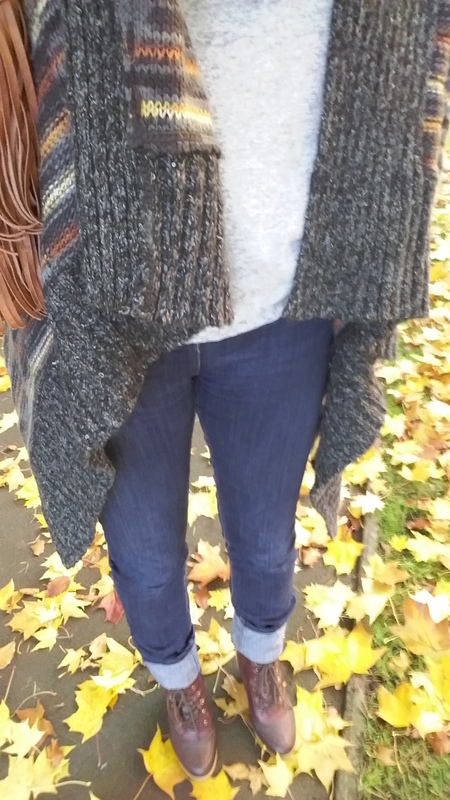 I managed to stretch “summer” out for most of October, which is better than normal, but with our holiday and the mild weather I haven’t felt the need to really change up my wardrobe, apart from covering my legs more. 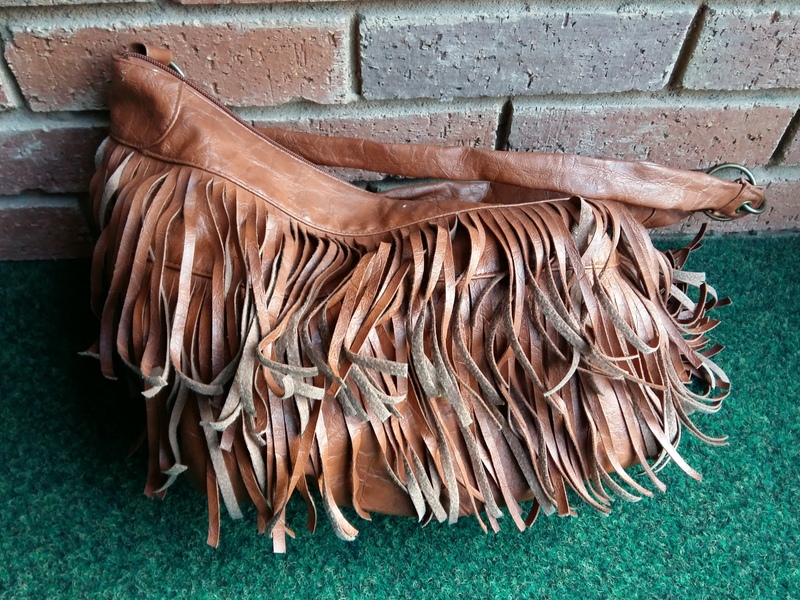 But now I’ve packed my summer wardrobe away, the clocks have gone back, and it’s almost November, even I can’t deny it’s autumn any longer! 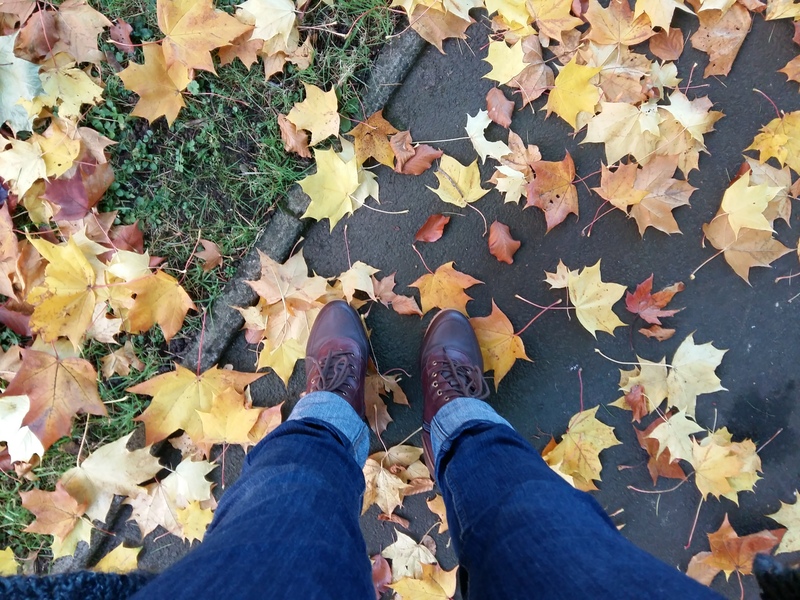 The one good thing about autumn is different clothes, so here are some pictures of ways I intend to be dressing this autumn. And, of course, leopard print! 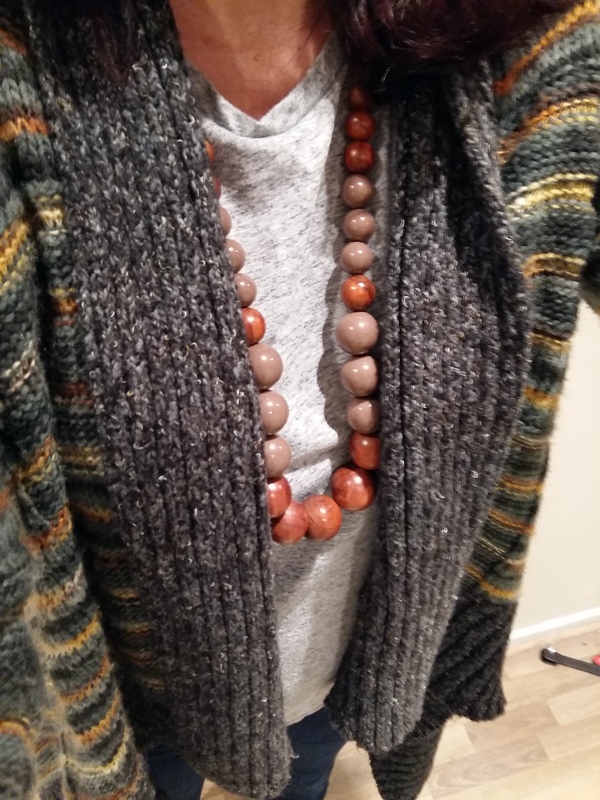 Here are some shots of today’s clothes – my first truly autumnal outfit this year! 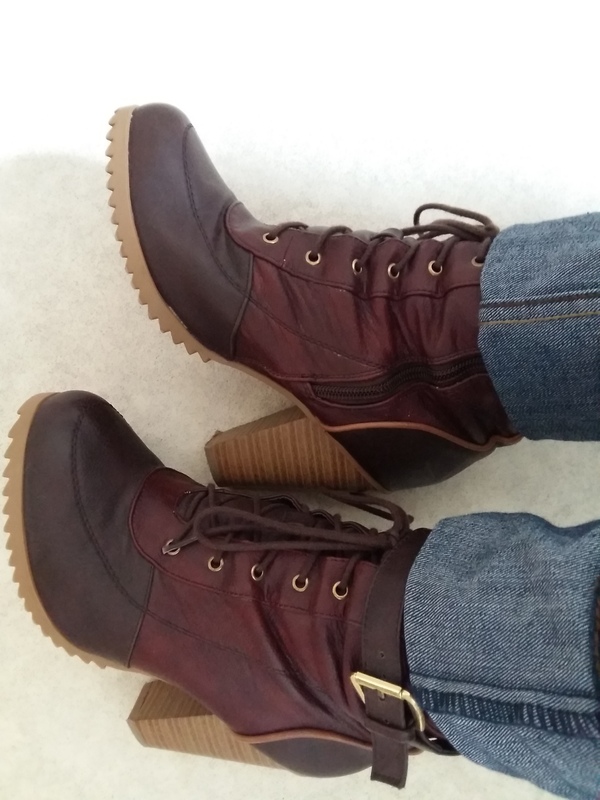 I’d love to hear what you’re wearing into the new season. 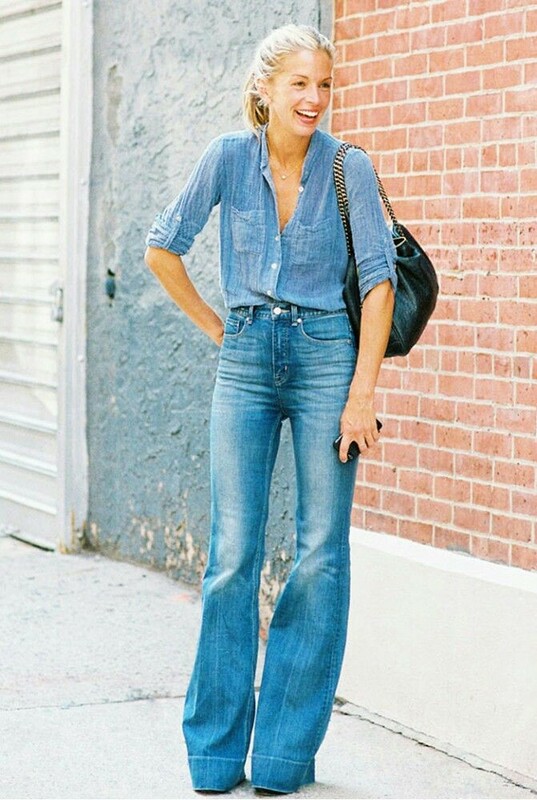 If you check out my Pinterest “Clothes Maketh the Wo(man)” board, you’ll notice quite a few outfits featuring denim flares. 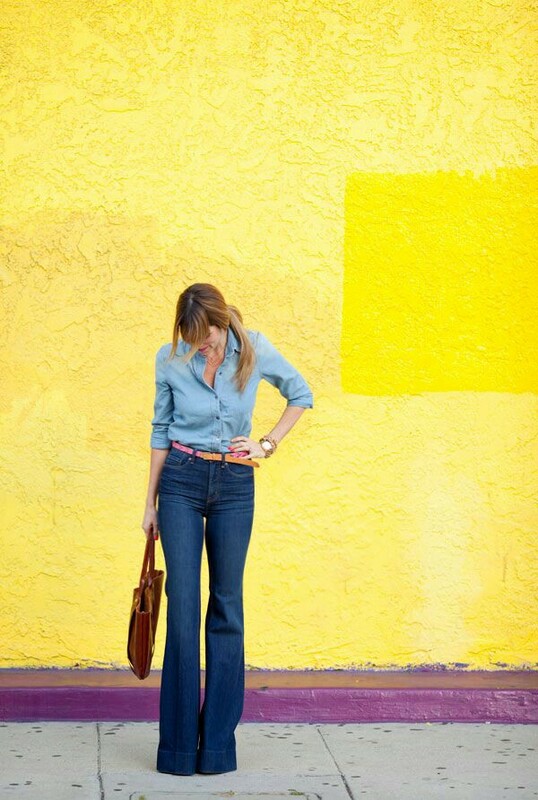 I’ve already got some denim skinny flares; I blogged about them in one of my first ever posts. 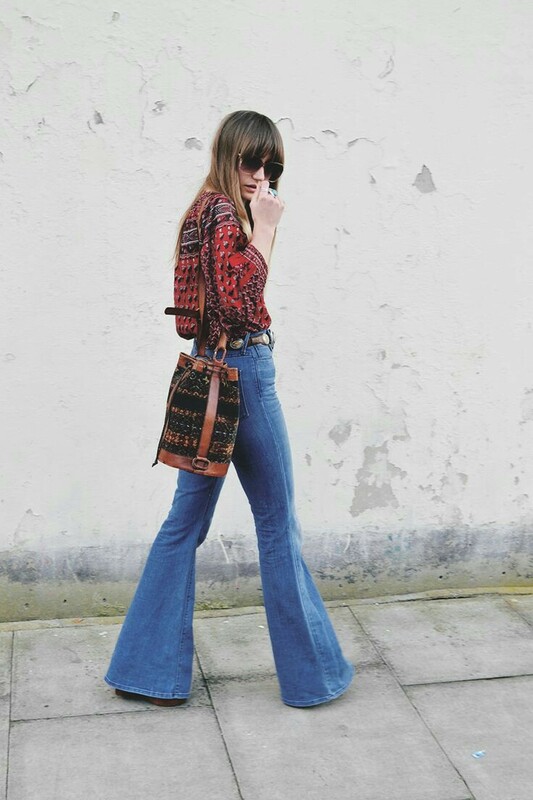 They’re from Dorothy Perkins and a couple of years old; they were classed as bootcut on the website, but I think that’s because “flares” weren’t on trend back then (the fickleness of fashion). 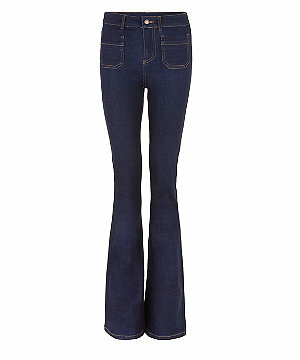 Anyways, I bought these jeans in the sale from New Look a few weeks back; they were reduced to just £13. These new ones are really 70s – they’re high waisted and have front patch pockets and they’re lightweight fabric with a bit of stretch and they’re lovely! 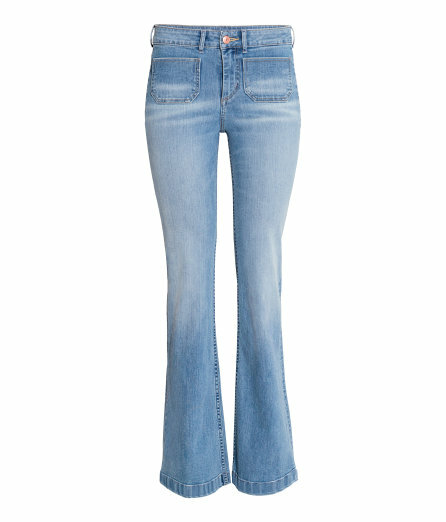 Then, a couple of weeks back, I saw some pale blue ones on the H&M website. 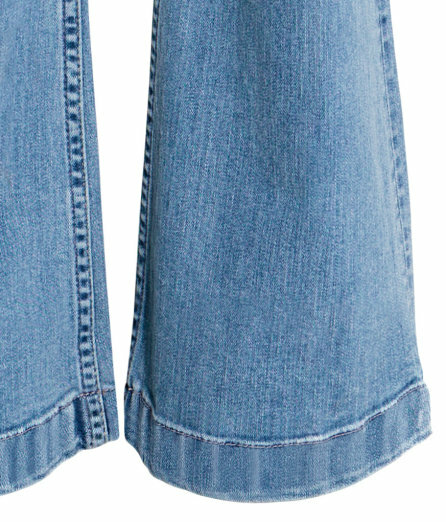 I’ve always wanted some pale blue ones but never seen any that were quite the right blue, or right shape or texture. These again have patch pockets for that real 70s vibe, are very soft and they’re high enough waisted to tuck in all of my greedy tummy! 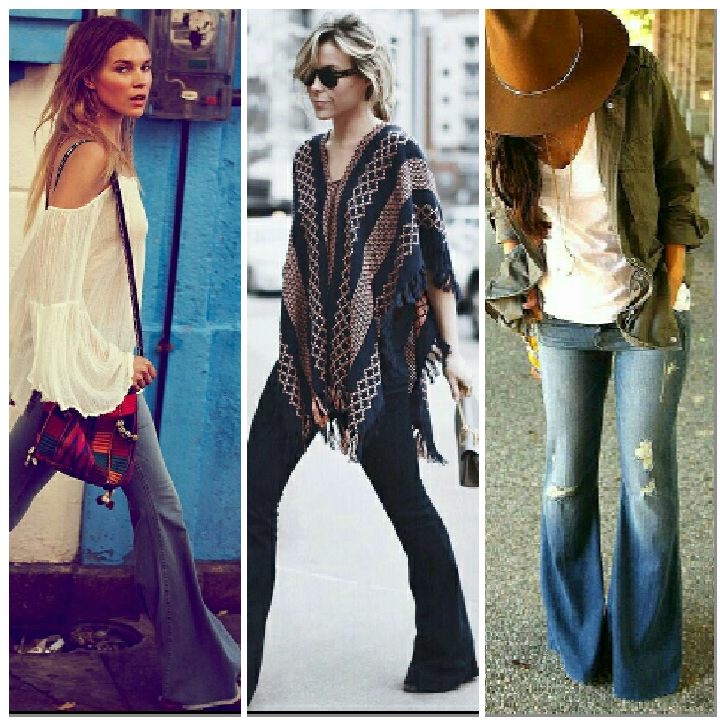 Here are some more of the gorgeous Pinterest inspiration pictures I’ve been drooling over featuring denim flares. What are you digging on Pinterest?